At the start of the Opening Ceremonies, we will have the Banner Parade where all teams will parade in showing their spirit walking behind their membership banner. 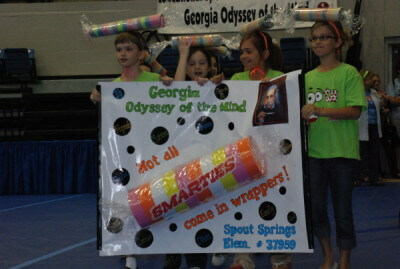 Banners may be made by parents, coaches, and/or team members. This is a great way for parents to get involved! The abbreviation “OM” must not appear on any banner, "OotM" is acceptable.